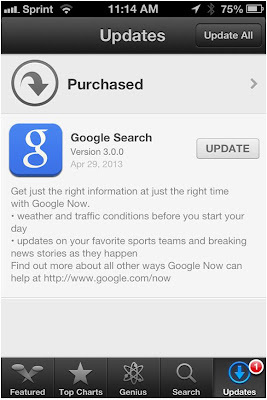 This morning Google Search 3.0 arrived in the Apple iOS App Store giving millions of iPhone, iPad, and iPod touch users access to Google Now, an "information assistant" that has been available on Android-powered smartphones for the past year. Once you have activated the Google Now feature in the Google Search app, you can use Google Now to see time and weather updates based on your current location, get notices of breaking news and your favorite sports teams, area restaurants, and currency exchange rates. 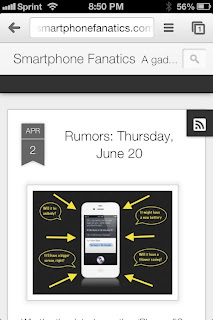 Rumors that Google Now was coming to Apple's mobile operating system appeared back on March 12 when a leaked video showing off Google Now's iOS tutorial video appears and was quickly pulled down from YouTube. 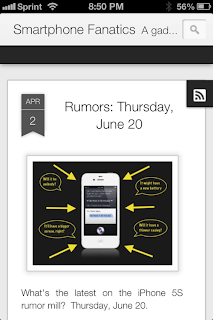 For more information, visit the Google Now website. 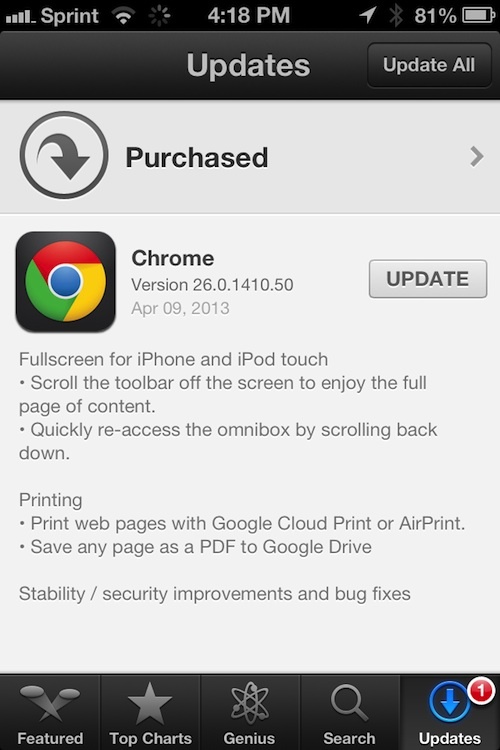 Google Search is a free application in the iOS App Store (link). 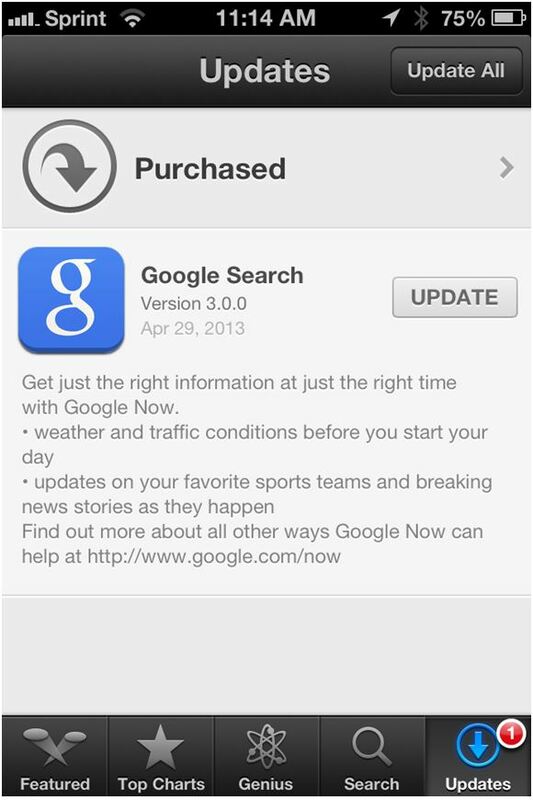 To use the Google Now features, you must be running iOS 5.0 or later. 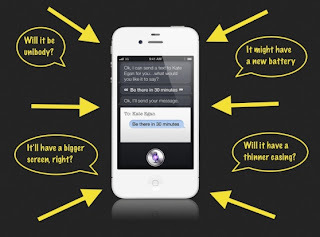 You'll Get a Larger iPhone When We Don't Have to "Trade-Off"
During today's Apple quarterly earnings conference call, Apple CEO Tim Cook was asked about the iPhone maker's plans for a larger screened smartphone. "We would not ship a larger display iPhone while these trade-offs exist," Cook said during his company's quarterly earnings conference call on Tuesday. I kinda have to agree with AppleInsider's article. Apple CEO Tim Cook won't ship a larger sized iPhone until the screen is ready. In my mind, that means being able to to a 5"-ish sized screen sporting Retina display quality in yields that can be sustained in a high quantity to sustain a global launch over to calendar quarters. In other words, the iPhone 5S will be the same tall 4" screen seen on the iPhone 5 and a larger 5”-ish screen will appear in 2014 on the iPhone 6. "Blackstone Group LP has ended its pursuit of Dell Inc. less than a month after the private-equity firm said it would try to top a leveraged buyout by the computer maker's founder and a rival investment firm. Blackstone had been putting together a bid for Dell to trump the $24.4 billion offer from founder and Chief Executive Michael Dell and private-equity firm Silver Lake Partners. Blackstone's offer would have kept part of the company in the hands of public shareholders." As a Dell customer, I'm happy to see this get behind us. It's a bit worrisome to be ordering Dell hardware and services and not knowing who's going to end up in control of the company. Yesterday afternoon Apple released a minor update to their iPhoto software for Mac OS X.
iPhoto 9.4.3 gains the ability to now delete photos directly from the My Photo Stream, export photos directly from My Photo Stream, and allows you to edit RAW photos that have been manually imported from My Photo Stream. In addition to the My Photo Stream enhancements, Apple also fixed a number of bugs related to Facebook photo syncing, stability improvements and fixes related to making your own books, calendars and cards. 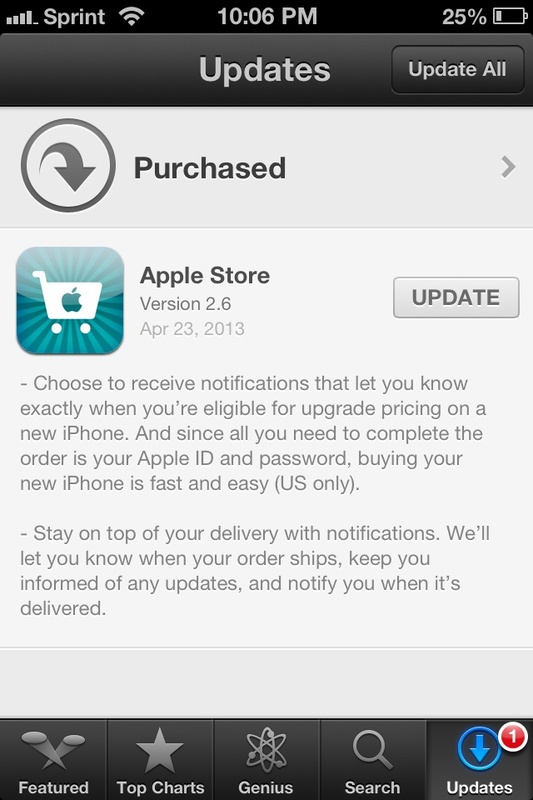 The iPhoto update is free to customers who purchased it from the Mac OS X App Store. If you don't have a current version of iPhoto, it can be purchased for $14.99. In this morning's First Look digest, ComputerWorld reports that Dish Network has submitted a $25.5B bid to acquire Sprint Nextel. Dish's bid represents a $5.5B premium over Japan's SoftBank which is looking to spend $20B for a 70% stake of the struggling carrier's business. Dish said its proposal is a superior alternative to the pending SoftBank proposal. "Sprint shareholders will benefit from a higher price with more cash while also creating the opportunity to participate more meaningfully in a combined Dish/Sprint with a significantly enhanced strategic position and substantial synergies that are not attainable through the pending SoftBank proposal." said Charlie Ergen, chairman of Dish. Sprint has begun taking pre-orders for the black HTC One smartphone. 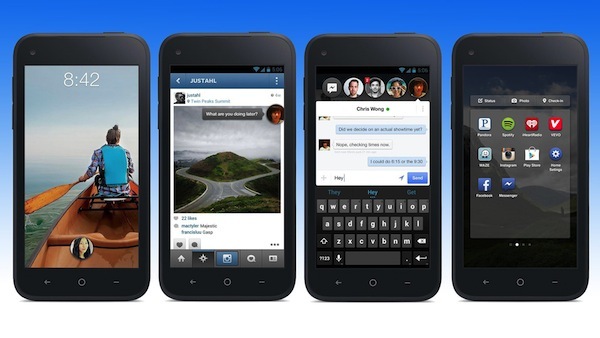 HTC's latest premium Android-powered smartphone will begin shipping for Sprint customers this coming Friday, April 19. The best part? If you pre-order online, the black HTC One will be a cool $99 when you sign a two-year service agreement. For a limited time, save $100 on this phone when you bring your number to Sprint on a new line of service. Pre-order: Order online today, we’ll charge your card for your phone and we’ll do our best to get it to you before others get a glimpse on Friday, April 19. Ordering more than just this phone? 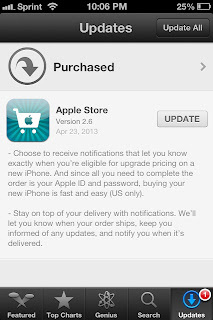 Please complete your pre-order package checkout and come back to order additional items." Dimensions: 5.4" x 2.7" x .37"
The HTC One comes in two colors, black and silver. From the Sprint website, it sounds like the black version is the one that is going on sale first with a lead in like "Black HTC One coming soon." Personally, I like the silver model better, but the black one looks nice too. I recently had an opportunity to play with the silver HTC One at a recent press event that Sprint attended and it has an amazingly crisp and bright display. For the few minutes that I was able to play with it, the touch screen seemed responsive and there was no hesitation from Android when scrolling or changing apps. 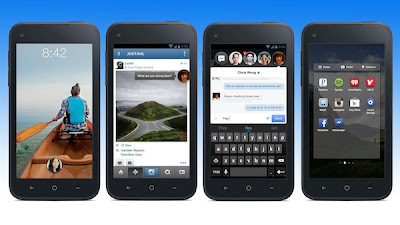 This is the first Google Android-powered smartphone that made me think about switching from the Apple iPhone 4S. 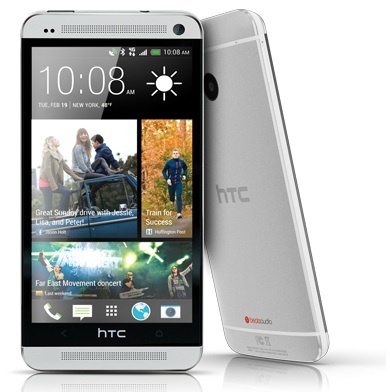 For more details about the HTC One, visit the Sprint website. Microsoft, earlier today, sent out a report urging customers who have applied the MS13-036 security patch for Windows 7 based PCs to uninstall it. 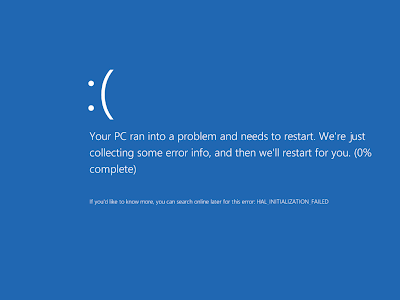 It appears that MS13-036 can cause Windows 7 PCs to crash in such a way that the OS will need to be reinstalled for the computer to become usable again. "The patch, which was originally issued Tuesday, has been pulled from Microsoft's Windows Update service. But the company told users who had already installed it -- or had it installed for them by Windows' Automatic Updates -- to remove it as soon as possible. 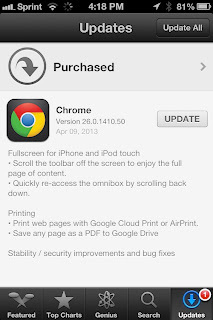 "Microsoft recommends that customers uninstall this update," the company said in a support document. 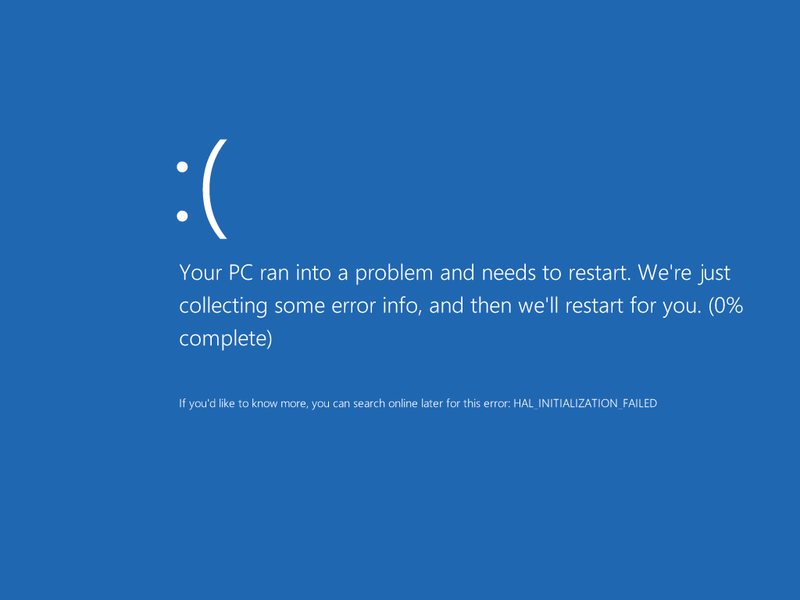 Microsoft yanked the patch in response to widespread reports that it was generating the notorious "Blue Screen of Death" (BSOD) error message and by rebooting repeatedly, making the PCs useless." If you have Windows 7, regardless of platform or architecture, I would suggest that you uninstall the patch, which you may have applied manually, or via Microsoft's Windows Automatic Updates. The reason why this patch is such a problem is it attempts to update the ntfs.sys driver that tells Windows how to read and write to the computers disk drive(s). Given all the latest news about customers sticking it out with Windows 7, Windows XP, and even Windows Vista, conspiracy theorists will probably think that this is a ploy to get people to upgrade to Windows 8. Released last year, Windows 8 has seen a much slower adoption rate by consumers and businesses and has been recently blamed in popular media as a major cause for the sharp decline in new PC sales over the 2012 holiday shopping season and first quarter this year. What's the latest on the iPhone 5S rumor mill? Thursday, June 20. 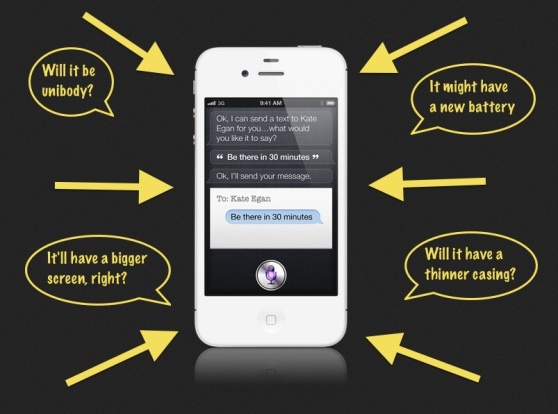 Thursday, June 20 is rumored to be the day that Apple will hold a "town hall" meeting to unveil the iPhone 5S. June 20 is still a ways off, so take it with as much salt as you can.